Is PM Lee set to become Senior Minister after the new head of government takes over? The DPM’s comments are notable since it may mean that current Prime Minister Lee Hsien Loong may retain a Cabinet position even after he hands the reins of the government over to his successor. 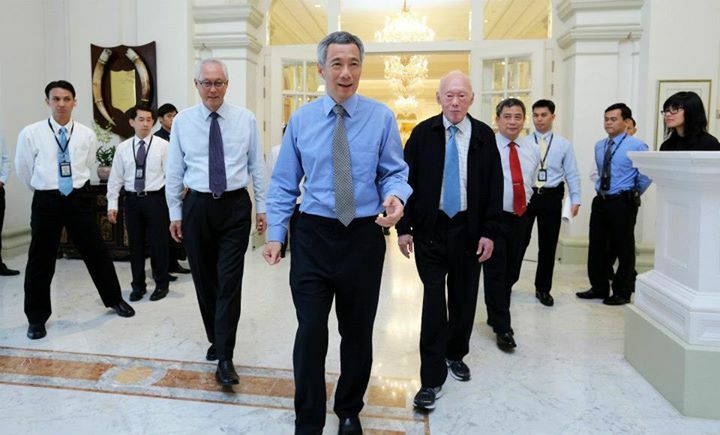 Singapore has had 4 senior ministers in the past: S. Rajaratnam, Lee Kuan Yew, Goh Chok Tong, and S. Jayakumar. Both S. Rajaratnam and S. Jayakumar had formerly served as deputy prime ministers before being appointed as senior ministers, while Lee Kuan Yew and Goh Chok Tong formerly served as the nation’s prime ministers. Lee Kuan Yew who served as Singapore’s first prime minister handed over the reins of government to Goh Chok Tong in 1990 and remained in the Cabinet as senior minister from 1990-2004. In 2004, he assumed the role of minister mentor – a position he retained until he retired from Cabinet in 2011. Singapore’s second prime minister Goh Chok Tong stepped down in 2004 and handed over the prime ministership to his predecessor Lee Kuan Yew’s son, Lee Hsien Loong. Like Lee Kuan Yew, Goh Chok Tong served as senior minister after he had handed over the prime ministership, from 2004 to 2011. In 2011, Goh retired from Cabinet with Lee Kuan Yew but still retains the title of emeritus senior minister.